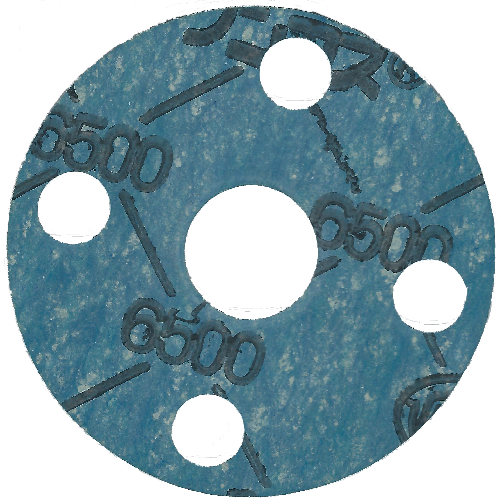 M590 Spiral Wound Gaskets Made of Mica Filler (Basic Design) This spiral wound gasket uses a clothless mica filler created using a special manufacturing process. It is used as a flange gasket for pipes, valve bonnets, pressurized containers, etc. for high temperature/high pressure steam, oil, petroleum gas, solvents, heating medium oil, etc. M590L Spiral Wound Gaskets Made of Lined Mica Filler (Basic Design) This spiral wound gasket features an M590 spiral wound core wrapped in VALQUAFOIL tape. It is used as a flange gasket for pipes, valve bonnets, pressurized containers, etc. for high temperature/high pressure steam, oil, petroleum gas, solvents, heating medium oil, etc. M591 Spiral Wound Gaskets Made of Mica Filler (with Outer Ring) This type adds an outer ring to No. M590. It is used as a flange gasket for pipes, valve bonnets, pressurized containers, etc. for high temperature/high pressure steam, oil, petroleum gas, solvents, heating medium oil, etc. M591L Spiral Wound Gaskets Made of Lined Mica Filler (with Outer Ring) This type adds an outer ring to No. M590L. It is used as a flange gasket for pipes, valve bonnets, pressurized containers, etc. for high temperature/high pressure steam, oil, petroleum gas, solvents, heating medium oil, etc. M592 Spiral Wound Gaskets Made of Mica Filler (with Inner Ring) This type adds an inner ring to No. M590. It is used as a flange gasket for pipes, valve bonnets, pressurized containers, etc. for high temperature/high pressure steam, oil, petroleum gas, solvents, heating medium oil, etc. M592L Spiral Wound Gaskets Made of Lined Mica Filler (with Inner Ring) This type adds an inner ring to No. M590L. It is used as a flange gasket for pipes, valve bonnets, pressurized containers, etc. for high temperature/high pressure steam, oil, petroleum gas, solvents, heating medium oil, etc. M596 Spiral Wound Gaskets Made of Mica Filler (with Inner/Outer Ring) This type adds an inner/outer ring to No. M590. It is used as a flange gasket for pipes, valve bonnets, pressurized containers, etc. for high temperature/high pressure steam, oil, petroleum gas, solvents, heating medium oil, etc. M596L Spiral Wound Gaskets Made of Lined Mica Filler (with Inner/Outer Ring) This type adds an inner/outer ring to No. M590L. It is used as a flange gasket for pipes, valve bonnets, pressurized containers, etc. for high temperature/high pressure steam, oil, petroleum gas, solvents, heating medium oil, etc. MC4640 OPTIC ARMOR A clear and colorless product in which OPTIC ARMOR is molded into a ring shape with an O-shaped cross section, for a low discharged gas grade. It offers exceptional purity due to our own mixture design and packaging specification. It also has excellent non-adhesive characteristics against metals, and is used for exposure equipment, etc. that is averse to discharged gas. MF300 BRIGHTHYPER This gasket offers the same high temperature, long-term stability of GF300, but is white and offers improved chemical resistance, allowing it to be used in a wider variety of applications. This product can be used on a variety of lines that are averse to black colors, from utility to process applications, easing the burden of choosing gaskets for each type of fluid. Suitable for high temperature use with water, sea water, hot water, steam, air, acid, strong alkali, aqueous salt solution, oil, alcohol, aliphatic solvent and vapors, gases of all types, etc.